Someone once said that if you don’t have critics, you’re not doing something worthwhile. Lucky for me, there are plenty of skeptics who disagree with the new urbanist concepts I espouse here weekly at SCL. Enter Joel Kotkin, noted writer and city nay-sayer. Kotkin is one of the loudest critics of smart growth, believing that cities focusing growth inward do not perform as well as their sprawling counterparts. While I usually disagree with Kotkin, I appreciate that the Smart Growth movement has critics with reasonable arguments, forcing us to validate our views. There are certainly debates to be had about the best policies for growth and development and I am happy to be a part of that debate. 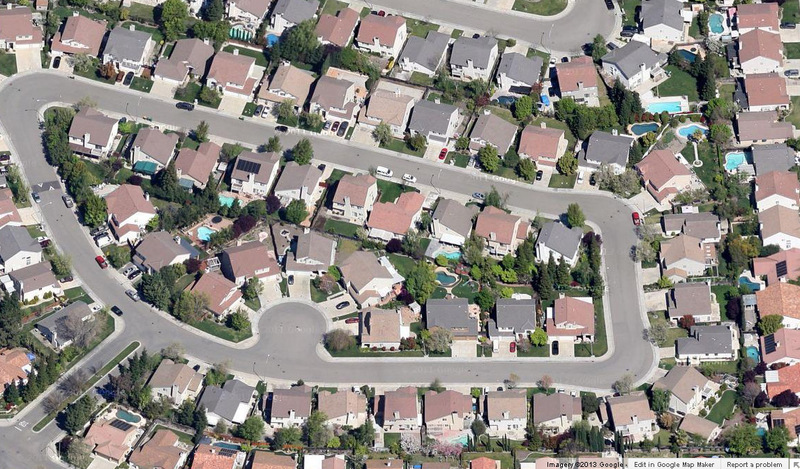 That being said, Kotkin’s recent article in the Daily Beast, titled “The Triumph of Suburbia: Despite Downtown Hype, Americans Choose Sprawl,” is laughable. In the article, Kotkin cites a recent report by Brookings showing that suburban areas have gained a larger share of jobs between 2000 and 2010. According to Brookings, 91 of the largest 100 metropolitan areas in the country saw their proportion of jobs shrink in relation to the suburbs. Just looking at the raw data, Kotkin is right: the “suburbs,” as defined by Kotkin, appear to be winning the battle for jobs over downtowns. However, the data used by Kotkin to reach his conclusions is shallow and generally misrepresented. Not only does he misconstrue the findings of the Brookings report, but he also makes misleading claims about the housing preferences of millennials and baby boomers. While I could literally write a book refuting all of Kotkin’s claims in the Daily Beast, I will pick the most egregious arguments to contend. In the study cited by Kotkin, Brookings uses each metro area’s Central Business District (CBD) to determine where downtown is, and then analyzes the proportion of jobs in downtown, near downtown, and far from downtown. While handy for standardizing downtowns across all metro areas, this methodology does not take into account that many of these areas have multiple cities with multiple downtowns. Because of this nuance, Brookings is careful not make any sweeping declarations, but Kotkin has no reservation doing exactly that, proclaiming that the numbers of jobs located in the “suburbs” is proof of their superiority. Kotkin believes that any job located outside of the CBD is a job in the suburbs, when the reality is not so simple. 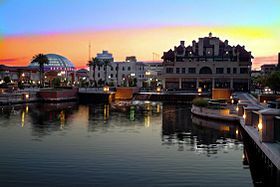 For example, Downtown Stockton is seen as the CBD for our metro area. But if there are jobs in Downtown Lodi or Downtown Tracy, those are located well outside the 10 mile radius of Downtown Stockton. According to Kotkin, these are suburban jobs. I would argue that this is a false conclusion. Is Tracy a suburb of Stockton? Or Lodi, for that matter? I think residents of those cities would argue that they are not (By the way, Downtown Stockton contains about 30% of all metro area jobs, higher than the national average of 22%). The same issue exists in the Bay Area, where Oakland is considered a suburb of San Francisco. Is a job in Downtown Oakland really in the suburbs? I think not. Brookings does assess some secondary CBDs, though not for all metro areas. Another issue with Kotkin’s argument is his use of overall job numbers to claim victory for the suburbs. This is problematic for two reasons. First, downtown jobs are generally different from suburban jobs. While a small tech start up downtown might only have a dozen well-educated employees, a new Super Walmart boasts 300 low skill, low wage jobs. Brookings makes note of this differentiation, showing that retail, manufacturing, and construction are mostly in the suburbs, while health care, finance and education careers are mostly located closer to the urban core. Coincidentally, the two industries that lost the most jobs in the recession—construction and manufacturing—were mostly located in the suburbs, while education and health care jobs— mostly located near downtowns– actually gained jobs during the recession. While all jobs are needed, stable, higher paying jobs appear to be centered closer to downtown. Another problem is that government jobs—the “industry” that took the biggest hit in the recession— are not included in Brookings’ report. These jobs tend to cluster in downtown areas, whether they are city, state or federal positions. It’s safe to say that downtowns took a significant hit from public worker layoffs and furloughs. While Brookings did not include these job losses, private downtown businesses undoubtedly suffered a great deal from the drop in government workers. Fewer police officers, city attorneys and city department employees means fewer customers patronizing downtown businesses. Given this, downtown has still held up remarkably well. Stockton’s downtown has nearly a 30% share of metro area jobs, higher than the national average. Even if millennials eventually move into the suburbs to raise families, as many will do, Kotkin apparently forgets that there will be generations after us to take our place, and they will most likely want to live in cities as well. Recent surveys show that high schoolers do not view suburbs favorably and are less enamored with cars. Kotkin also erroneously equates moving to the suburbs as being a “good parent,” which is pure conjecture on his part. Further, Kotkin misleads us on the housing preferences of baby boomers, stating that they will drive further demand for suburban housing. While it’s true the majority still prefer suburban style homes, the percentage of older Americans who prefer urban cores is trending upward. Researchers have never claimed that urban housing will overtake suburban communities as the data shows that the suburbs will continue to be the area of choice for the majority of boomers. The point is that a larger share of this demographic will shift more towards urban centers, more so than in the previous decades. While boomers overwhelmingly drove suburban growth over the past 30 years, researchers believe that about a quarter of aging Americans will move back into cities over the next 20 years. Kotkin routinely pits cities against their suburban counterparts, framing this dichotomy as a zero sum battle between two entirely different types of lifestyles. As is the case with many of Kotkin’s arguments, he has grossly oversimplified a complex topic. While I routinely rail against suburban development on this site, I should make one thing very clear: I am chiefly opposed to the design of suburban development, not its entire existence. I understand the need for cities and regions to grow and sometimes growing out is the only option. However, outward growth does not have to be inefficient and dependent on cars, as has been the case for the last 30 years. At one time, Tuxedo Park near UOP was considered a suburb for Stockton, but it was designed with unique houses, walkable streets, and fairly good access to commercial and retail activity. Unfortunately, the suburbs of the last 30 years were cheaply built, miles from stores and shops, and completely dependent on the automobile. As suburban development goes, there is a big difference between building strong, vibrant neighborhoods and inefficient, car-dependent subdivisions and strip malls. Kotkin does not distinguish between these types of communities, regularly hailing cities such as Austin and Nashville as “sprawl” success stories while chastising dense places such as San Francisco, Portland and New York. What Kotkin fails to realize is that even in these “sprawling cities,” there is enormous demand for more walkable, dense communities that is being met with infill development, investment in transit, and the creation of more mixed use neighborhoods, even in areas far from the center. Even here in Stockton, developers Grupe and Spanos have overhauled their typical suburban business model to include more trails, parks, and housing types to reflect evolving consumer demand. While far from perfect, the fact that these titans of suburban development are reconsidering the way they do business is an indication that consumer preferences are moving toward more walkable, compact communities. In his writing, Kotkin uses data to try and show that suburbs are better than cities. While he is generally mistaken in his conclusions, I enjoy the challenge of defending my view points against Kotkin’s arguments. Many times Kotkin brings up very valid and insightful points, but his Daily Beast article is mostly filled with mischaracterizations. *Kotkin actually misquotes this data in his Daily Beast article, saying 82% instead of the 84% from the actual survey. Kotkin makes these errors every so often, conveying an aloofness that double checking facts doesn’t matter. I love this passage from Suburban Nation: When they get behind the wheel, teenagers automatically join the most dangerous gang in America. Automobile accidents kill over 45,000 people annually in this country, almost a Vietnam War of casualties every year. A child is twenty times more likely to die from an automobile mishap than from gang activity, as most young drivers are involved in at least one serious auto accident between ages sixteen and twenty. In their first year of driving, over 40 percent of teenagers have an accident bad enough to be reported to the police. For this reason, it is more dangerous, statistically, to grow up in the suburbs of Seattle than in that city’s most urban neighborhoods. Suburban Nation is a great book, really breaks down the core issues of sprawl for anyone to understand. I also recommend Walkable City by Jeff Speck, one of the co-authors of Suburban Nation.